Subscribers: click here to log in with your account number! Get the app for your tablet or phone! 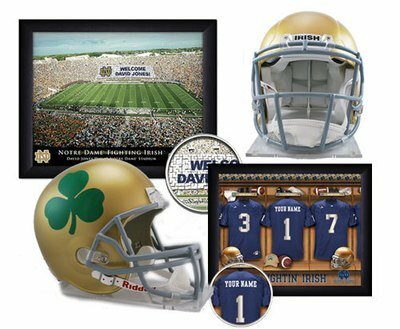 Since 1981, Blue & Gold Illustrated has been America’s foremost authority on Notre Dame football, basketball, and recruiting. The magazine is published 20 times per year. 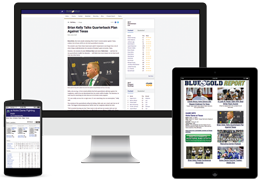 Blue Gold Report, a weekly seasonal e-newsletter for subscribers of Blue & Gold Illustrated, has everything you need to know before each game! 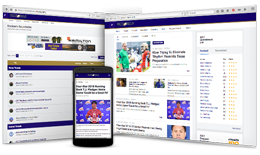 BlueAndGold.com covers all Notre Dame sports with daily recruiting updates, news items, videos, and more. 30-Day free trial available. Download the free app to get your Irish news on the go!